The NeOn project is investigating the entire life cycle of networked ontologies that enable complex, semantic applications. As the amount of semantic information available online grows, semantic applications are becoming increasingly ubiquitous, Web-centric and complex. The NeOn Toolkit and the NeOn methodology lie at the core of the NeOn vision, defining the standard reference infrastructure and the standard development process for creating and maintaining large-scale semantic applications. The first version of the NeOn Toolkit for ontology engineering has just been released in open source by the Neon Consortium. NeOn is a 14.7 million euro project involving fourteen European partners. It started in March 2006 and will have a duration of four years. NeOn addresses the complete R&D cycle of the emerging generation of semantically enriched applications, which exist and operate in an open environment of highly contextualized, evolving and networked ontologies. It aims to achieve and facilitate the move from feasibility in principle, to concrete cost-effective solutions that can support the design, development and maintenance of large-scale, semantic-based applications. In particular, the project is investigating methods and tools for managing the evolution of networked ontologies, for supporting the collaborative development of ontologies, and for the contextual adaptation of semantic resources. NeOn has developed an open service-centred reference architecture for managing the complete life cycle of networked ontologies and metadata. This architecture is realized through the NeOn Toolkit and complemented by the NeOn methodology for system development using networked ontologies. The NeOn Toolkit provides a next-generation ontology engineering environment for semantic applications. It is designed around an open and modular architecture, which includes infrastructure services such as registry and repository, and supports distributed components for ontology management, reasoning and collaboration in networked ontologies. Building on the Eclipse platform, the Toolkit provides an open framework for plug-in developers. The NeOn Toolkit is freely available in open source as the reference implementation of the NeOn architecture. The first open-source release of the Toolkit was just recently launched at the latest NeOn Glowfest at ISWC07  the International Semantic Web Conference  in Busan, Korea on the 13th November. NeOn Glowfest is a series of seminars and discussions intended to gather together the members  both users and developers  of the NeOn community. 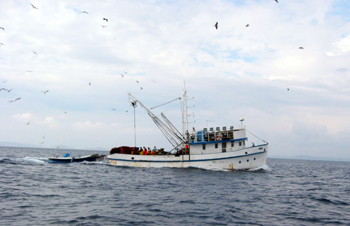 Figure 1: NeOn helps ensuring sustainable fishery with semantic technologies. NeOn pays special attention to integrating research with work practices. The methodology, toolkit and infrastructure are therefore intertwined with their deployment and testing from the early phases of the project. NeOn uses a case-centred methodology, which means that our research results are applied to real-world case studies involving partners from industry and public bodies. Ontology-driven stock over-fishing alert system is a study led by the Food and Agriculture Organisation of the UN, which focuses on the agricultural sector and information management for hunger prevention. As the title suggests, it involves the management of alerts to avoid over-fishing in already stretched global waters. Supporting collaboration in pharmaceutical industry is a case study concerned with infrastructure and APIs to bridge the currently used proprietary systems for managing financial and product knowledge interoperability in the networks/clusters of pharmaceutical labs, companies and distributors in Spain. The NeOn project is co-funded by the European Commission's Sixth Framework Programme under grant number IST-2005-027595. The consortium includes European universities, businesses and user organisations. Among the research institutions are world-leading groups in the fields of ontology, collaborative technology, context management and human-computer interaction, such as the Open University and the University of Sheffield from the UK, the Universities of Karslruhe and Koblenz-Landau from Germany, University Polytechnic Madrid (UPM) from Spain, INRIA, the Josef Stefan Institute from Slovenia and the National Research Council of Italy. The participating companies are Software AG, iSOCO, Ontoprise and Atos Origin.